Writing for publication is no longer a task for the learned few. It is now recognised that sharing your work is a helpful way to make a difference to practice, but getting started can be difficult. Even more established writers can learn new tricks. Authors Karen Holland and Roger Watson have written a wonderful book that offers a lot more than the title and cover suggest. The 16 chapters are carefully constructed, so that each tackles a distinct area and all include helpful tips and activities relevant to that particular focus. The chapters vary stylistically, which makes for freshness without losing flow. The book benefits from Holland and Watson’s expertise as seasoned journal editors as much as from their writing experience. The contributors also have a range of publishing experience and a wealth of focused knowledge on the topic. In terms of content, there are chapters on writing journal articles and books, as you would expect. But there are also chapters on more diverse publishing activities. The reader is shown how to turn conference papers into articles and to review papers for peer-reviewed journals, as well as how to write conference abstracts and turn assignments into publishable works. While the book’s audience is nurses and healthcare workers, the content is equally applicable to anyone wishing to publish, especially those in the applied disciplines. There is something for everyone here, as the contributors have generously shared their insights from positive and negative experiences of publishing and used those lessons in crafting a thoroughly enjoyable and practical guide to writing for publication. 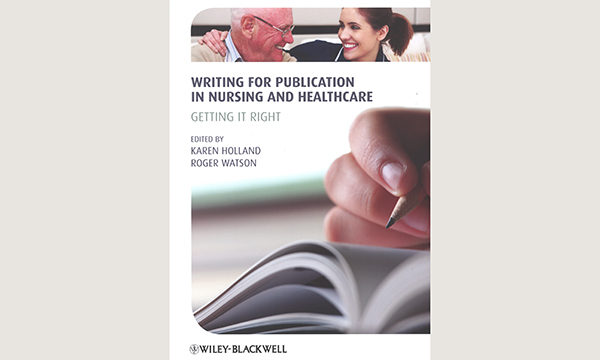 Writing for Publication in Nursing and Healthcare: Getting it Right. Aim To question the efficacy of ‘gold’ open access to published articles.